How to bulk PST & OST files to PDF for archiving Email? 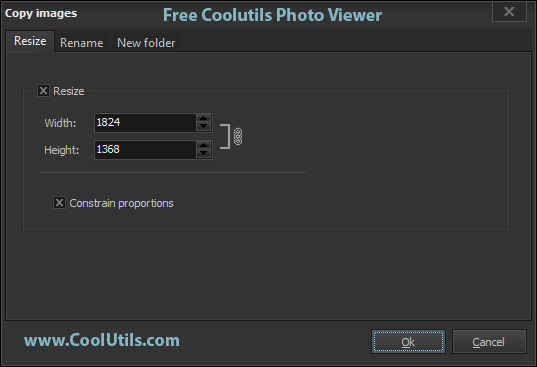 You are here: CoolUtils > Photo Viewer > How to bulk PST & OST files to PDF for archiving Email? 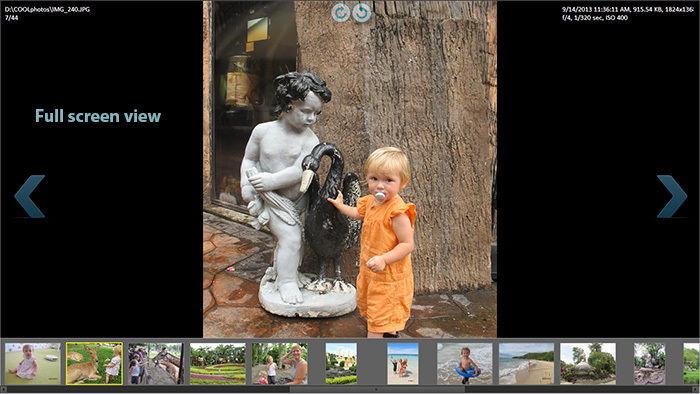 Uploading photos from a camera or mobile phone is quick with PhotoViewer. This freeware image manager combines a comfortable photo uploader and a viewer. With its help you can copy photos to a hard drive or view them directly from the camera memory card. You can select specific files manually or select them all automatically using according option in Selection menu. Very often cameras make photos in huge resolution that is not compact enough for local storage. You can resize them directly in this photo browser. Proportional resizing is supported too: if you change either width or height, the other dimension is automatically adjusted to the existing proportion. This program works with any type of memory drives supported by your system. 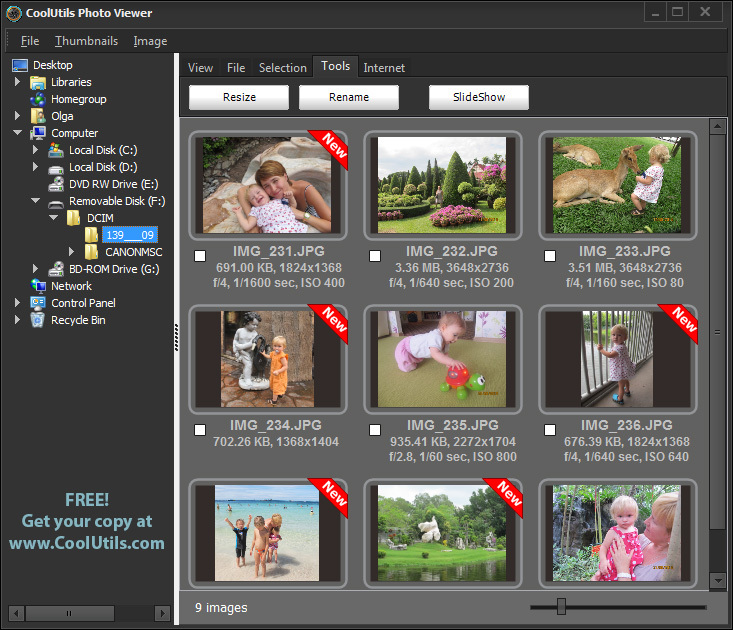 PhotoViewer can not only transfer photos to a computer from your camera, but also serve as a comfortable image gallery. You can view photos fullscreen mode - just double-click on some image. There you will see next/prev arrows, checkmark point, and rotation button. 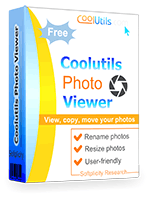 Enjoy easy file transfer and comfortable photo viewer for free. Get PhotoViewer here!